The Ironman iMove Gen2 SUV – Driven with Distinction. With a performance-centric design that delivers an optimal balance of quality and aesthetics, the iMove Gen2 SUV has performance that appeals to enthusiasts and looks that appeal to everyone. From overall handling to enhanced traction, the iMove Gen2 SUV boasts multiple intelligent design features that deliver dynamic highway performance and can carry a vehicle farther, longer. 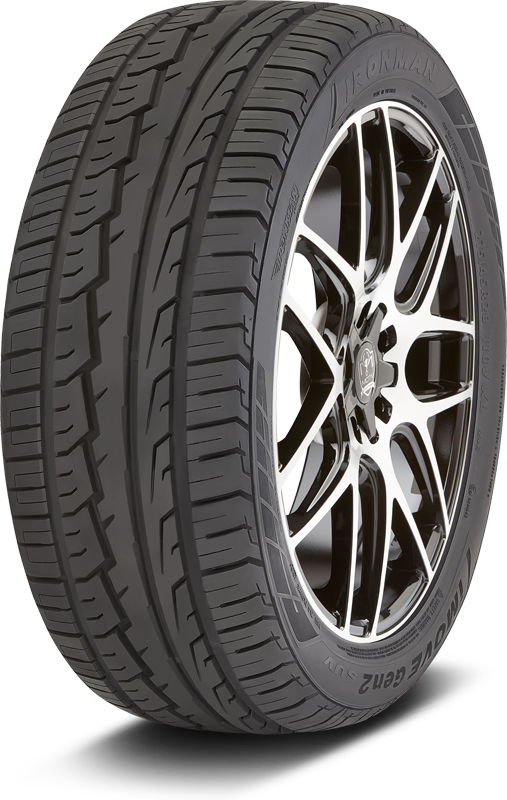 Asymmetric tread design enhances handling in wet and dry conditions. Large contact patch with continuous center rib enhances directional stability and cornering grip at highway speeds. Wide circumferential grooves maximize water evacuation to protect against hydroplaning. M+S rating ensures all-season performance and peace-of-mind.